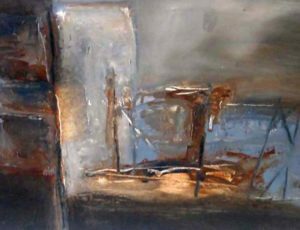 particularly the remains of the mining industry, and in recent years the harbour and sea have become additional influences. 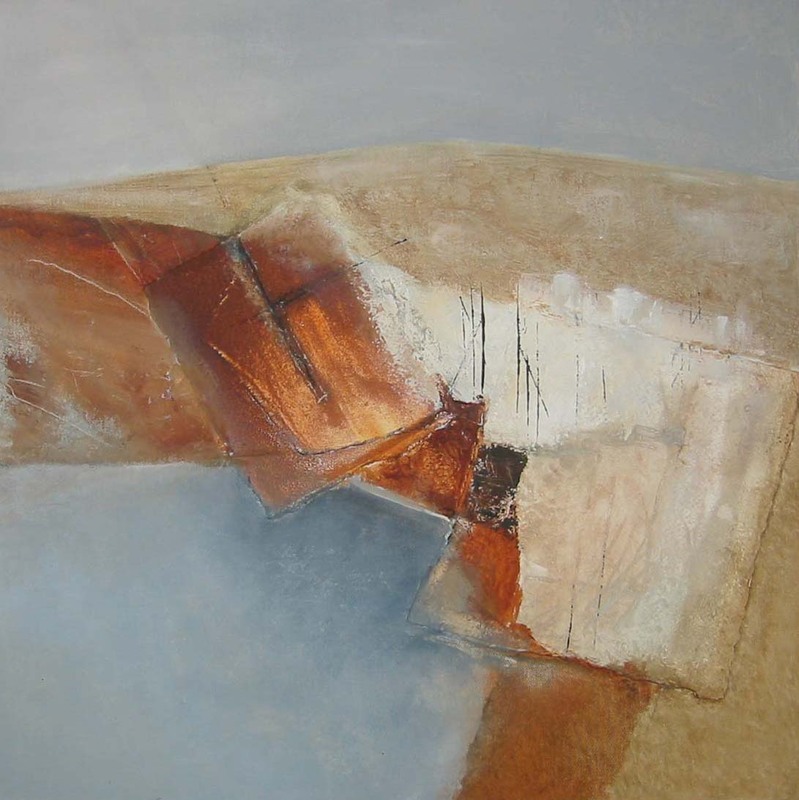 A strong interest in colour, texture and atmosphere guide the making of her work. 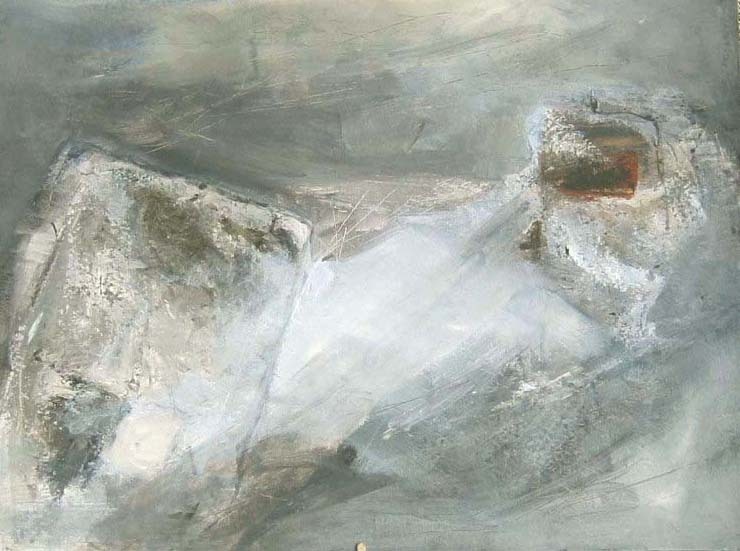 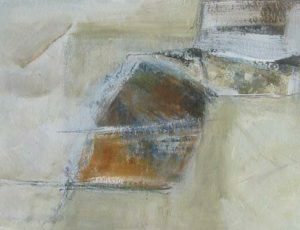 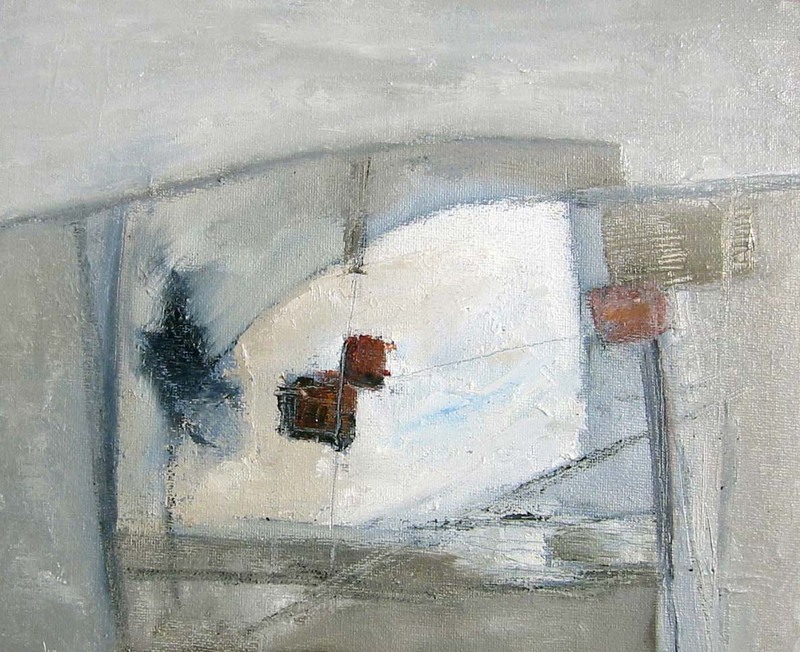 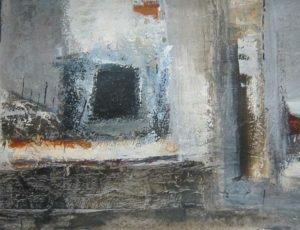 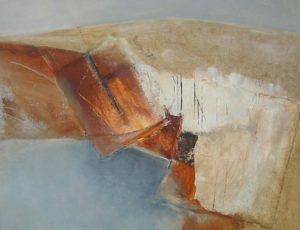 ‘My paintings are a response to the landscape of Penwith and the remains of the mining industry. 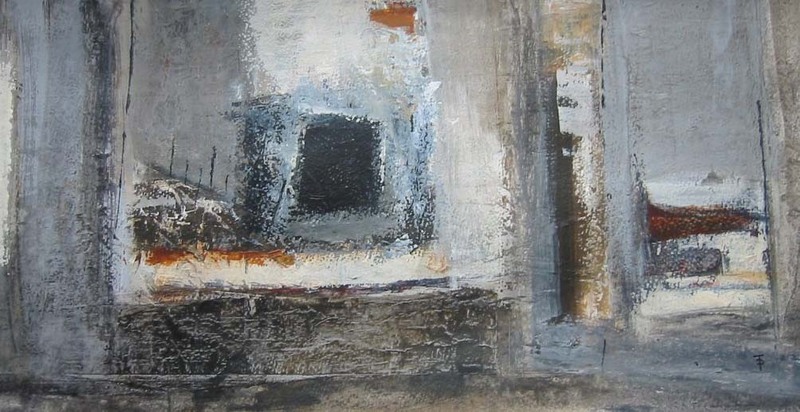 The tunnels in the layers of rock below the land and the sea provide starting points as do the derelict and rusting buildings and I try to achieve an atmosphere of Cornwall that is evident in these places’. 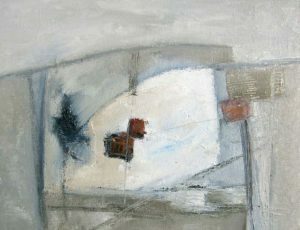 Born in Warwickshire in 1941, since 1981 Daphne and her husband Pepe have been involved with making and teaching made textile techniques including patchwork and quilting in various locations in Cornwall, moving to Newlyn in 2013. 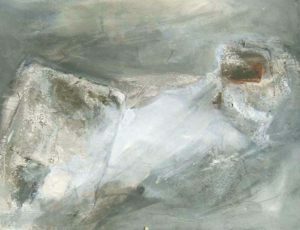 In 1992 Daphne also became interested in painting, and undertook courses in Art, Design and Painting with the Open College of the Arts, life drawing classes at the St Ives School of Painting and also learned collagraph printmaking techniques at the Handprint Studios in Penzance.